Shop online for 16 scale-structures model trains at discounts up to 47%. Buildings is the most popular of the 3 scale-structures model trains categories, then Scratch Supplies, and Bridge-Trestle-Girder. This is the HO Scale (Unpainted Metal Castings) T.W. Snow Coaling Tower Extra Exterior Detail Set from Scale Structures. 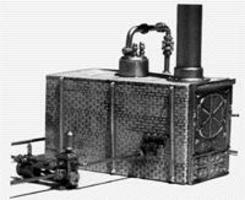 This is the HO Scale Baker Hi-Steam Boiler (Unpainted Metal Casting) from Scale Structures. This is the HO Scale Master Touch Interior Detail Sets (Unpainted Metal Castings) Barber Shop from Scale Structures. This is the HO Scale Wall Capstrip- Wide (Metal Casting) 4 Pack from Scale Structures. This is the HO Scale Master Touch Interior Detail Sets (Unpainted Metal Castings) Coal Tower from Scale Structures. This is the HO Scale kit of Bridle, Bit & Reins (Metal Casting) from Scale Structures.